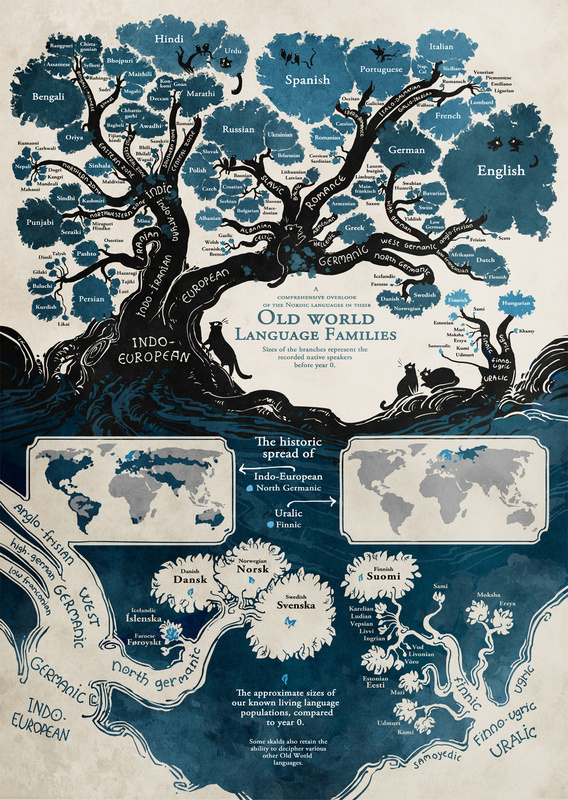 Are you a language lover? Then you'll agree with me. The best thing to do while on vacation is to start learning a new language. So, I was in Crete. And I started learning Dutch. Dutch was a language dream of mine. How did I start learning? And why do I mention all of this in a post about learning Greek? Apps. The language learning kind. I have to say, I was very sceptical with Apps. Everyone’s raving about how useful, easy and non expensive learning with Apps can be. I still found it hard to learn with recorded (and sometimes annoying) voices, pop-up ads and non-human interaction. I guess I wasn’t patient enough? Or maybe I thought that Apps had to be as good as human to human learning? Once I got past these, I appreciated Apps for what they are; a very useful tool, complementary to everything else we use to learn languages. I need to mention here that this is NOT a sponsored or affiliated post and that all opinions are my own. This post is about the FREE versions (worth repeating). If you have any questions, tech or otherwise, contact the apps customer service directly. Just to mention that I use these apps on an Android device - not sure how different they can be on an iPhone. Apps change frequently. If you spot any feature not updated in the post, you're more than welcome to add it in the comments. Memrise won the Best App award in the 2017 Google Play Awards. Awards are fantastic - still nothing beats trying something out yourself. α. Memrise focuses on Vocabulary and repetition. β. All courses are created by its members and some are created by the Memrise team. BUT: Greek language only has the so called "User Generated Courses (UGC) or Community Courses. This practically means that you can't find the Greek courses from the “Search” function within the Memrise Mobile App anymore. Click this link - it will take you to the Greek courses on the website, not in the app. If you don't have an account, go ahead and create one. Now when you start learning any Greek course on the website it will automatically be added to your course list within the app (provided you are signed in with the same username). You can try any course. There’s no test or locked material, you just pick anything you find interesting and suitable. Memrise’s free version allows you to use the Learn and Review tool, but not the rest (difficult words, pro chat etc). In your account’s settings, you can choose how many words you learn and review each time. You start with a pack of words, which you learn through tap the word, matching, fill in the blank etc. activities. The faster you do it, the more points you earn. Spaced repetition (vocabulary repetition after some time has passed) is a huge asset and Memrise makes sure you use that a lot. I also love that you don’t need to use your phone’s keyboard; Memrise gives you the letters under the new word, then you tap on them to write it. In some courses, there’s audio from native or non-native speakers. Make sure you read the course’s description to pick the right one for you! As I mentioned before, there’s no official Memrise Course for Greek (yet! ), so click the link to find courses created by the community. While this makes for a “not so great” thing about Memrise, hold on, because it also means you can create your own course to review and share with your teacher (or your students, if you teach Greek). I laughed when I heard on more than 2 occasions how my students thought of the word “fajitas” to remember the Greek φαγητό. So accurate! This article by James Granahan explains beautifully how mnemonics work for language learning, by the way. You’ve probably guessed it. Course creation by members has sometimes its drawbacks. In just a single course, I spotted some spelling mistakes, some inaccurate translations to Greek and a wrong accent, which changed the meaning completely. However, the more popular a course is, the less mistakes it has because people spot them and the team behind it constantly improves it. When you use Memrise you’ll find a clean, beautiful design which helps you build your Greek vocabulary or grammar through a large number of courses effectively, steadily and at your own pace. This last one is important since your answers are saved even if you stop in the middle of your activity. This is another winner; Duolingo was Apple's iPhone App of the Year 2013 and it’s definitely another free option for learning Greek. Duolingo’s courses (link) remind me of a more classical approach to language learning. You test for your level and your lessons get unlocked as you learn. This way you know exactly what you’re aiming for, so it’s pretty much as if you have your personal tutor. People who don’t want to get overwhelmed see definitely an advantage in this. Another benefit of this is that you learn within a well thought plan. New words are introduced and then repeated; you take out from the lesson some new vocabulary you can actually use. Another plus is that there’s always audio in the course and you always get an accurate pronunciation, which is so very important when you learn a language. I love it that it has a slower version of audio, so you can use this if you feel the first one is too fast. By tapping on the new words, you get both the translation and the pronunciation so you first learn the words this way. The second part is when you review the words, and it’s where the language games really kick off. Tapping the right word, filling out the sentence, picking the right answer are some of the activities. Even if you miss an accent or misspell something, you get a gentle reminder instead of a red cross mark (I can assure you, being a language teacher did not make me feel any better about red cross marks.). I do want to know what’s ahead or study a different pack; for example, adjectives or food. Not being able to do so, makes me feel that the App has all the power. Really not great. When I first tested my Dutch as a learner, I understood most of the audio but failed to spell the answers accurately. Does this make me a complete beginner? The App thinks so. Now I’m forced to start from 0 on Duolingo, which is, to be honest, boring. I get it, it’s one of the things Apps can’t really understand, because ….you know, Apps! Duolingo is a great tool to use among others for your vocabulary learning and I’m always happy to see this little green owl peeping on me with encouraging words. I got to know about this App from a motivated student of mine, who loves using Apps to learn Greek. A note though. While the other two Apps have a free and paid version, Mondly (link) has only one free Unit (8 lessons). To unlock the rest of the Units you need to pay. I’m only focusing on the free version here. I like how Mondly uses pictures to help you learn the new vocabulary. It’s great to have another option besides audio & reading and I feel that pictures help me retain vocabulary better. Recording your voice is another plus for this App. You really need to try to get an accurate pronunciation and by doing this you practice speaking. I love this feature. Just like Duolingo, the activities change from tap the right word, write or choose the correct one. The native speakers’ pronunciation is accurate and their voices are most of the times clear. I also like the statistics, which give you a better look at your progress and the new words’ review at the end of each lesson. Mondly gives you the free lesson of the day so you get bite-sized vocabulary each day to practice. Mondly has a darker “look” which doesn’t really appeal to me. But this is relatively minor to a couple other things I didn’t like. First, Mondly presents the material in a rather random way. You might have chosen, as I did, to learn at the Beginner’s level yet the words you learn seem a bit advanced, given you have just started learning! Another thing I didn’t like was that you can’t slow down the audio. There’s this nice dialogue - based lesson, but you need to repeat it over and over to understand the speakers’ fast pace. I’ve also spotted no accents on a few activities, which is by no means helpful when you learn Greek. If you prefer sticking to the free version, you’ll get the daily lesson which is available for 24 hours. It’s a rather cool way to devote some time to your Greek learning. I won't choose a "winner". This is up to you and your learning style to decide. Overall, I’m glad I have these different tools on my phone. It makes learning a language part of my daily routine. I like that I don’t need to spend hours revising, when I don't really have time to do so. That said, the best practice is to use apps alongside handwritten notes, books, authentic material and of course speaking with other learners or native speakers. The best of all of course is that, finally, Greek learners have some practical, on the go tools to practice Greek for free. Have you used any of these Apps? Which one did you like the most?